The following is an image-based review of findings, indications, and specific higher-risk scenarios (so-called “red flags”) as discussed in the Appropriateness Criteria for LBP. 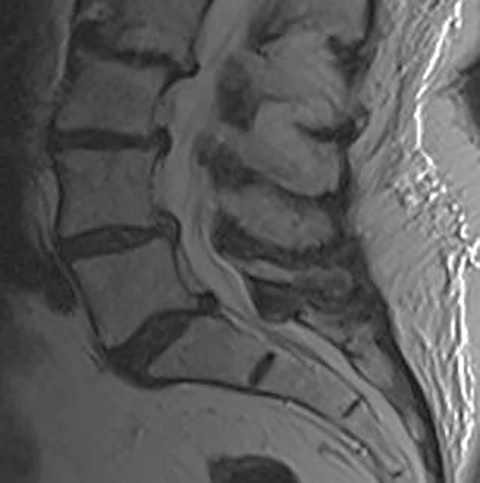 The reported natural history of uncomplicated back pain is that 50% of patients with acute LBP recover after 2 weeks and 90% after 3 months.1 Uncomplicated acute LBP may be treated conservatively with pain control, reassurance, and physical therapy without initial imaging, according to standard clinical guidelines.8 As a result, for uncomplicated acute LBP lasting less than 6 weeks, the Appropriateness Criteria scores for all imaging modalities are either 1 or 2, defined as “usually not appropriate”8 (Figure 1). The red flag indications can be subdivided by whether the indication calls for contrast-enhanced imaging. 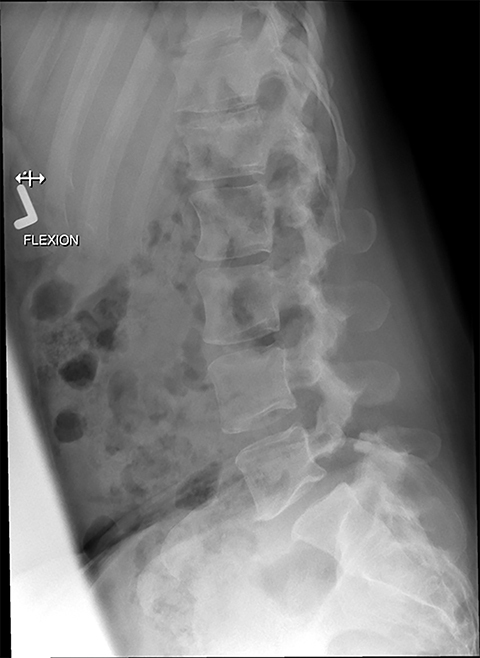 Indications including trauma, osteoporosis/age, focal/progressive deficit, and chronic steroid use call for initial evaluation with X-ray of the lumbar spine, CT for detailed osseous evaluation of possible vertebral body fracture, and MRI for ligamenous injury, worsening neurologic deficit, and for marrow edema, rating all three modalities as a 7 or “usually appropriate,” (Figure 2). Indications consisting of suspicion of cancer, infection, and/or immunosuppression correspondingly raise appropriateness scores of contrast studies (Figures 3 and 4). For evaluating marrow replacement processes such as metastatic disease, in- and out-of phase MR imaging can be employed. The normal marrow undergoes fatty conversion and results in a diffuse dispersion of fat. This causes a combination of fat and water within an imaging voxel. Fat and water protons precess at slightly differing frequencies, and the averaged signal intensity within the voxel will vary according to TE, depending on whether the protons are in or out of phase. An invariant voxel implies contents other than typical marrow (Figure 5). The Appropriateness Criteria for any LBP indication outside of the six-week initial presentation period rates CT as 5-6 (may be appropriate), specifying that it is useful if MRI is unavailable, contraindicated, or indeterminate. CT can also be useful for problem solving and gives complementary information particularly in preoperative patients.8 In particular, CT adds information on hypertrophic bone, trabecular pattern, pathologic fracture, and sclerotic metastases. The Appropriateness Criteria document provides a separate table for patients with LBP and/or radiculopathy who are surgical candidates. Under this rating system, discography is marginally higher but rated as “3” (usually not appropriate). 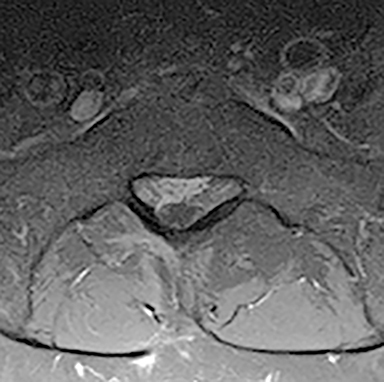 Potential benefits of injection discography include localization of pathology via reproduction of symptoms, characterization of disc defects, and characterization of features associated with progressive versus injury-related pain.10 Discography may offer an alternative for patients with MRI contraindications. Other studies have demonstrated less consistent findings,11 and the frequency of performing this study varies with referring physician practice patterns. 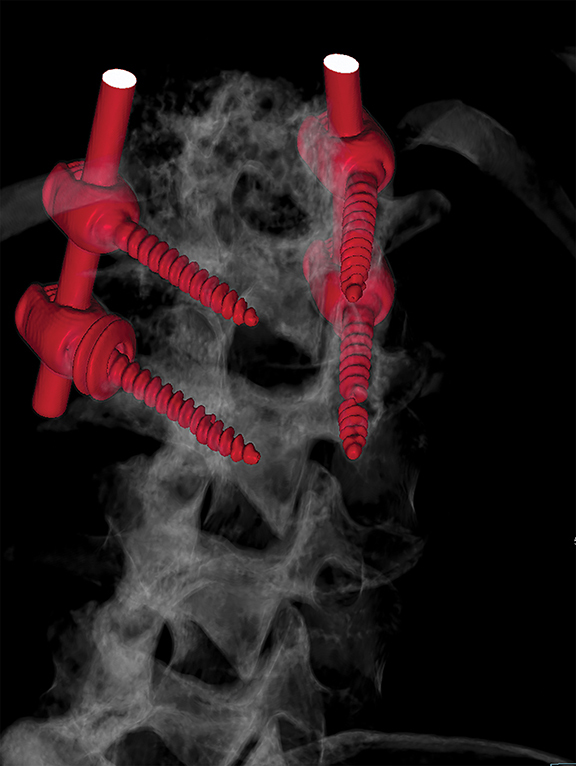 For patients with previous lumbar surgery, radiography can help to evaluate hardware integrity. 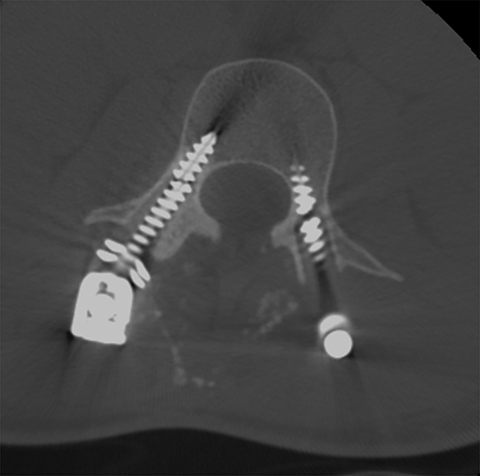 CT offers a superior evaluation of osseous fusion (which occurs in 95% of cases by 6 months), and allows evaluation of surgical hardware. 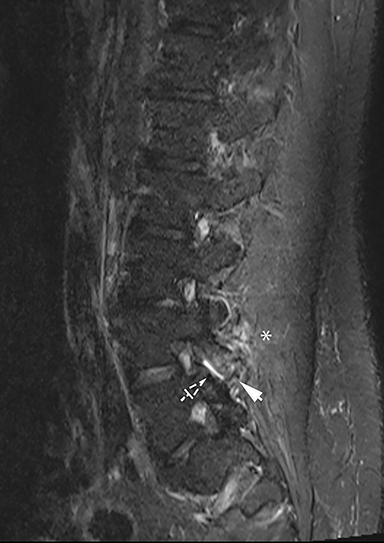 MRI with and without contrast remains the highest-rated modality with a score of “8.” The usefulness of contrast MRI in this setting includes the ability to evaluate infection, recurrent disc protrusions, and postsurgical scar (Figures 6 and 7). The ACR Appropriateness Criteria for LBP affirms that imaging is generally not indicated for uncomplicated LBP of less than 6 weeks, in particular for nonsurgical patients. 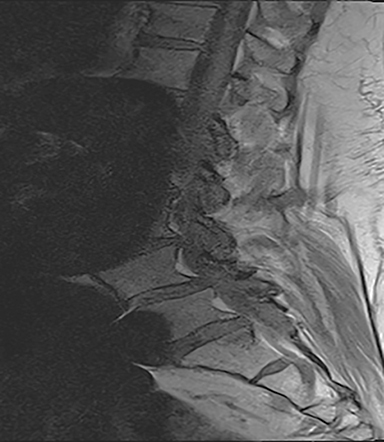 The goal for imaging remains to evaluate patients with red flags, such as prolonged symptoms, radiculopathy, history of trauma, osteoporosis, cancer, infection, immunosuppression, or symptoms related to the cauda equina. 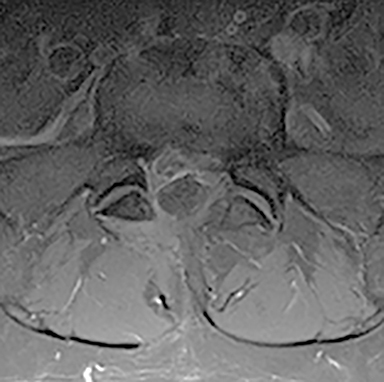 For these patients, MRI is the preferred modality. CT and other modalities such as myelography can offer complementary information or act as an alternative if MRI is contraindicated. 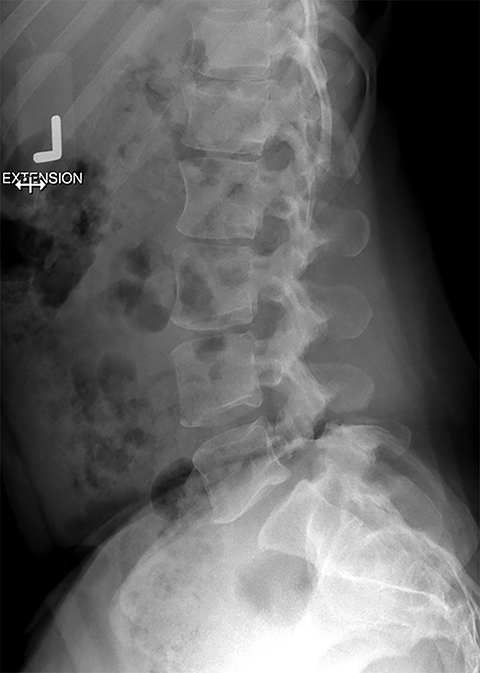 Plain radiography may benefit the patient in specific situations, such as a limited evaluation for alignment or dynamic instability. Optimal postsurgical imaging varies. For instance, MRI with contrast is superior for evaluating residual disc versus granulation scar, while CT is superior for evaluating postsurgical osseous fusion. Contrast enhancement will typically aid the patient with a history or suspicion of neoplasm, infection/inflammation, or immunosuppression. Current directions in imaging research address evidence-based imaging contributions towards outcomes. 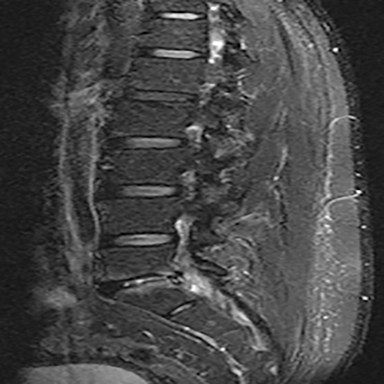 One shortcoming of lumbar spine imaging is that imaging frequently yields findings of unknown clinical significance.4 Many groups have attempted to address this question by investigating the symptomatic value of individual imaging findings. Recently, Goode et al published a meta-analysis of 28 studies focusing on radiographs, encompassing 26,107 patients. 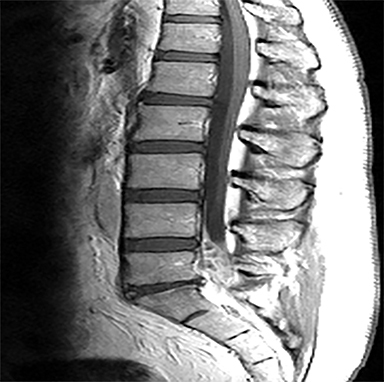 They identified several findings significantly associated with symptoms, including disc space narrowing, spondylolisthesis, spondylosis, and osteophytes, while finding no significant association for endplate sclerosis and facet osteoarthrosis.15 Studies such as these can help inform our reporting. In this era of high healthcare costs, the optimal use of appropriate diagnostic imaging is critical. As radiologists, we have a responsibility to champion appropriate imaging, as this adds critical value to our work and profession. The ACR Appropriateness Criteria as well as other similar guidelines help identify higher-risk individuals, and aid in providing recommendations for the best imaging modality for LBP in a variety of clinical scenarios. Further goals for the radiology community should include improving adherence to standard reporting nomenclature and continued high-quality research to correlate individual imaging findings to symptoms and outcomes. Rubin DI. Epidemiology and risk factors for spine pain. Neurol Clin. 2007;25(2):353-371. Srinivas SV, Deyo RA, Berger ZD. Application of “less is more” to low back pain. Arch Intern Med. 2012;172(13):1016-1020. Martin BI, Deyo RA, Mirza SK, et al. Expenditures and health status among adults with back and expenditures and health status among adults with back and neck problems. JAMA. 2008;299(6):656-664. Chou R, Deyo RA, Jarvik JG. 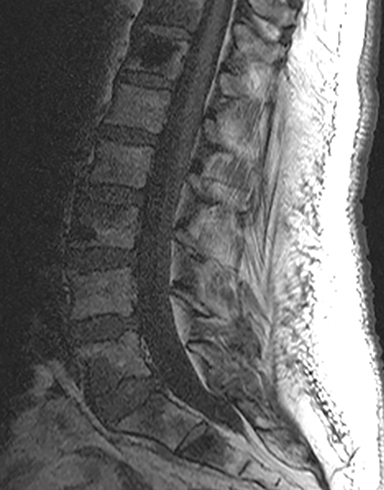 Appropriate use of lumbar imaging for evaluation of low back pain. Radiol Clin N Am. 2012;50(4):569-585. American College of Radiology. ACR Appropriateness Criteria Overview. Feb 2015. American College of Radiology. ACR Appropriateness Criteria for Low Back Pain. Revised 2015. Chou R, Fu R, Carrino JA, et al. Imaging strategies for low-back pain: systematic review and meta-analysis. Lancet. 2009;373(9662):463-472. Bartynski WS, Dejohn LM, Rothfus WE, et al. 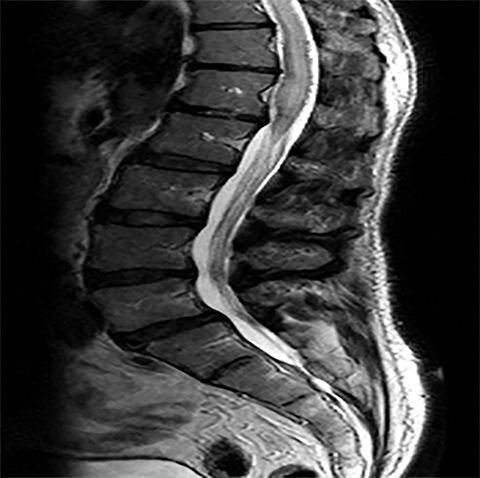 ‘Progressive-onset’ versus injury-associated discogenic low back pain: features of disc internal derangement in patients studied with provocation lumbar discography. Interv Neuroradiol. 2013;19(1):110-120. 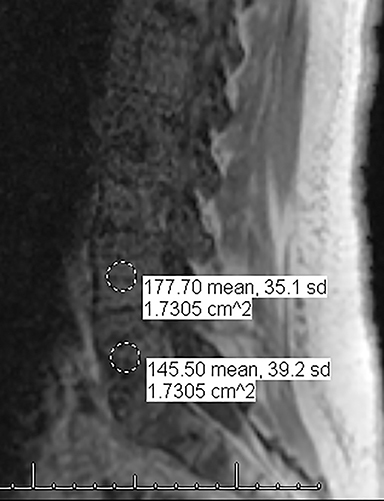 Siepe CJ, Heider F, Haas E. Influence of lumbar intervertebral disc degeneration on the outcome of total lumbar disc replacement: a prospective clinical, histological, X-ray and MRI investigation. Eur Spine J. 2012;21(11):2287-2299. Graves JM, Fulton-Kehoe D, Jarvik JG, et al. Health care utilization and costs associated with adherence to clinical practice guidelines for early magnetic resonance imaging among workers with acute occupational low back pain. Health Serv Res. 2014;49(2):645–665. French SD, Green S, Buchbinder R, et al. Interventions for improving the appropriate use of imaging in people with musculoskeletal conditions. Cochrane Database Syst Rev. 2010; 1. Ip IK, Gershanik EF, Schneider LI, et al. 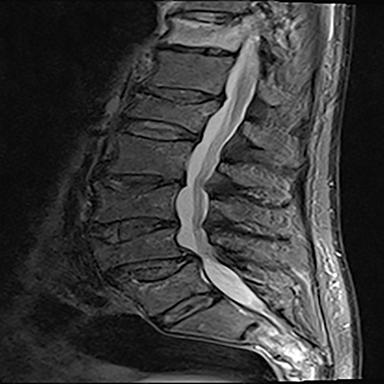 Impact of IT-enabled intervention on MRI use for back pain. Am J Med. 2014;127(6):512-518. Raastad J, Reiman M, Coeytaux R, et al. The association between lumbar spine radiographic features and low back pain: a systematic review and meta-analysis. Semin Arthritis Rheum. 2015; 44(5):571-585. Suri P, Hunter DJ, Rainville J, et al. Presence and extent of severe facet joint osteoarthritis are associated with back pain in older adults. Osteoarthritis Cartilage. 2013;21(9):1199-1206. Cheung KM, Karppinen J, Chan D, et al. 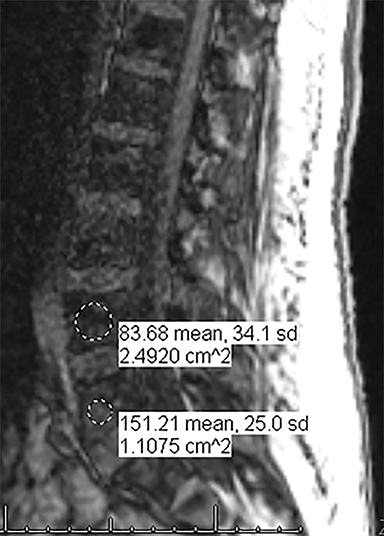 Prevalence and pattern of lumbar magnetic resonance imaging changes in a population study of one thousand forty-three individuals. Spine. 2009;34(9):934–940. Hancock MJ, Maher CG, Laslett M, et al. Discussion paper: what happened to the ‘bio’ in the bio-psycho-social model of low back pain? Eur Spine J. 2011;20(12):2105-2110. Suri P, Dharamsi AS, Gaviola G, et al. Are facet joint bone marrow lesions and other facet joint features associated with low back pain? A pilot study. PM R. 2013;5(3):194-200. Gellhorn AC, Katz JN, Suri P. Osteoarthritis of the spine: the facet joints. Nat Rev Rheumatol. 2013 Apr;9(4):216-224. Li Y, Fredrickson V, Resnick DK. 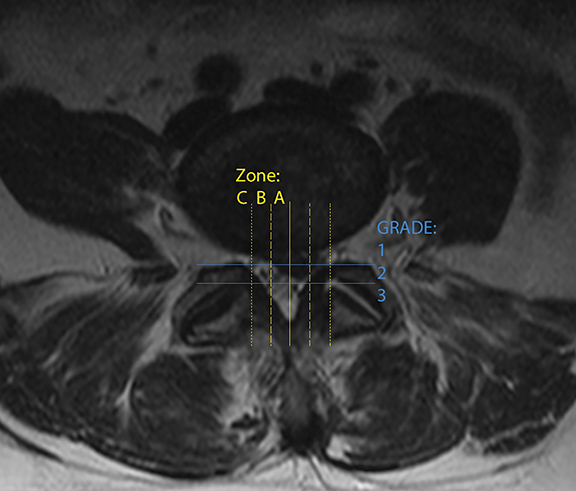 How should we grade lumbar disc herniation and nerve root compression? A systematic review. Clin Orthop Relat Res. 2015; 473(6): 1896-1902. Fardon DF, Williams AL, Dohring EJ. 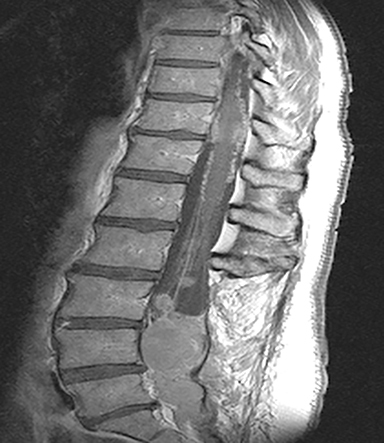 Lumbar disc nomenclature: version 2.0: Recommendations of the combined task forces of the North American Spine Society, the American Society of Spine Radiology and the American Society of Neuroradiology. Spine J. 2014;14(11):2525-2545. Mysliwiec LW, Cholewicki J, Winkelpleck MD, et al. 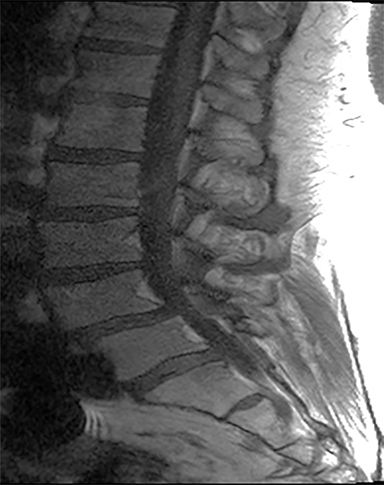 MSU classification for herniated lumbar discs on MRI: toward developing objective criteria for surgical selection. Eur Spine J. 2010;19(7):1087-1093. J Park, YW Lui. An image-based review of the ACR Appropriateness Criteria for Low Back Pain. Appl Radiol. 2016;45(9):9-15. Dr. Park and Dr. Lui are Radiologists with the Neuroradiology Section, NYU Langone Medical Center, New York, NY. The material contained in this article was previously presented by Dr. Lui at the 2014 meeting of the Eastern Neurological Society.